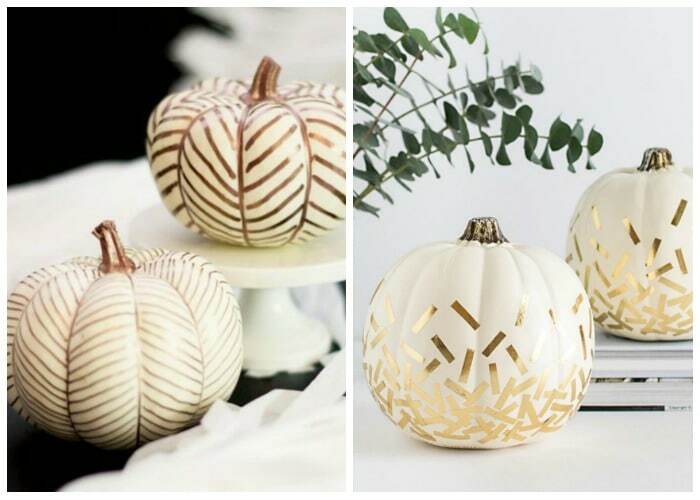 20 Pretty Pumpkin Decorating Ideas that will be the perfect addition to your Fall Decor! 1. 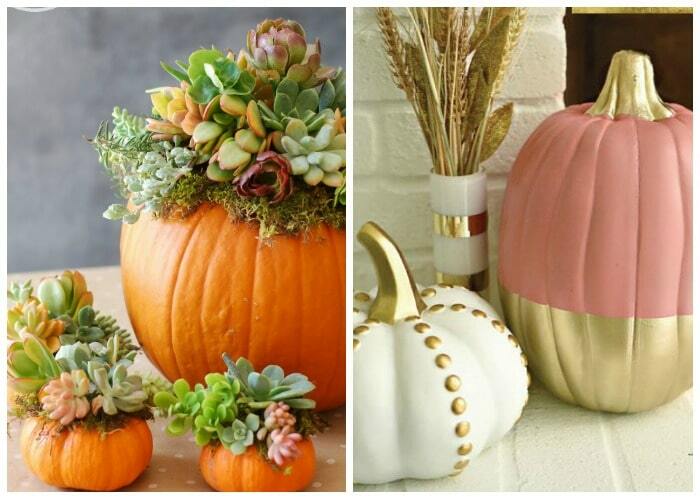 Pumpkin Succulents from Simply Happenstance. 2. 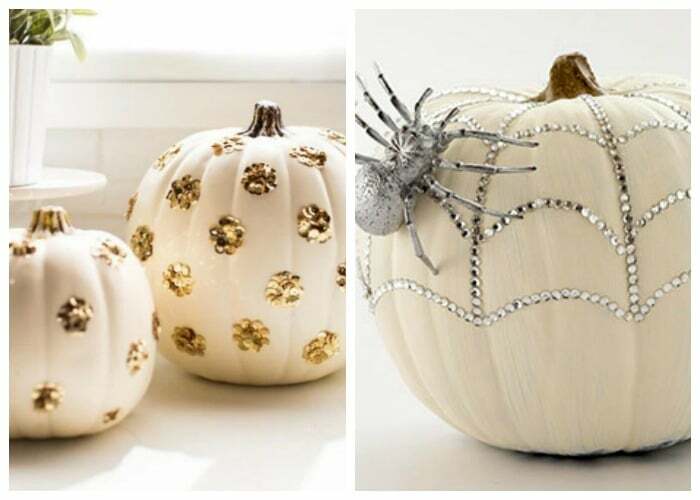 DIY Gold Dipped Pumpkins from Monica Wants It. 3. Beautiful Pumpkin Centerpiece from Tone on Tone Antiques. 4. Decorating small white pumpkins from Petticoat Junction. 5. 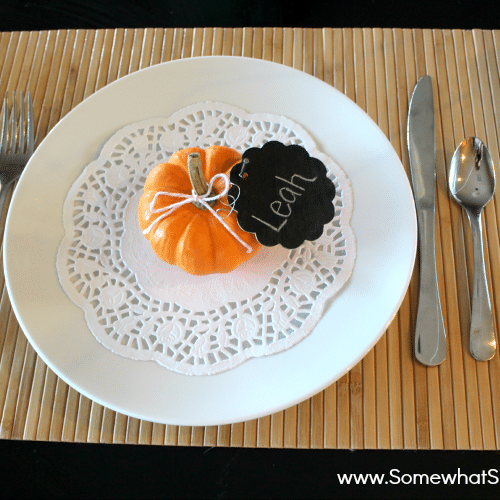 DIY Sequin Polka Dot Pumpkins from Sugar and Cloth. 6. Rhinestone Spiderweb Pumpkin from Homemade Crap. 7. 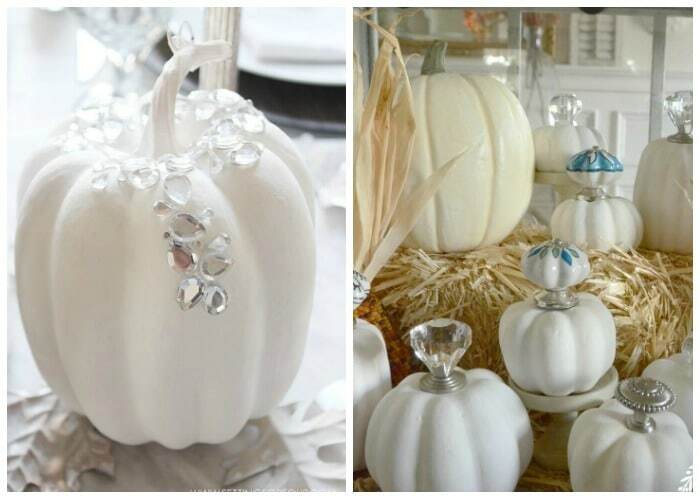 Jeweled White Pumpkins from Setting for Four. 8. 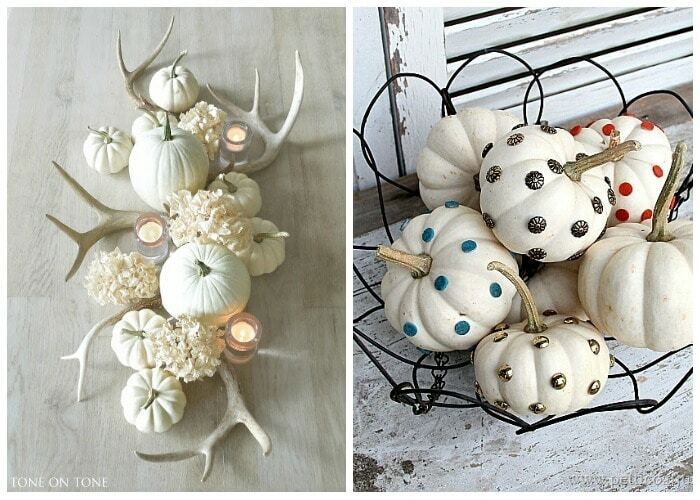 Beautiful Knob Pumpkins from Stone Gable Blog. 9. Copper Herringbone Pumpkins from Lovely Indeed. 10. 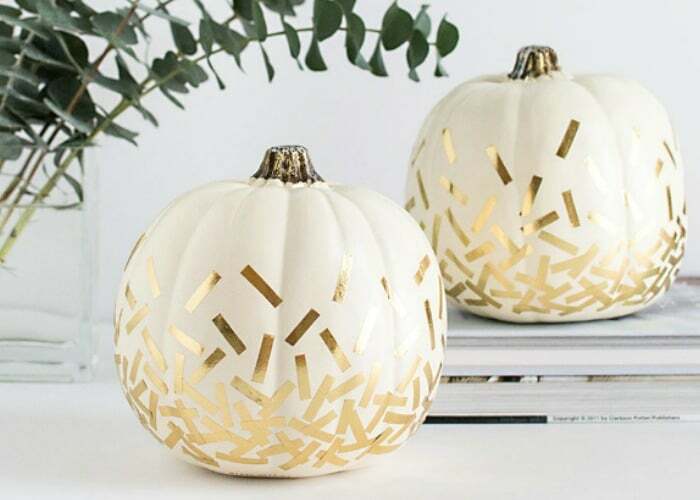 DIY Gold Confetti Pumpkins from Homey Oh My. 11. 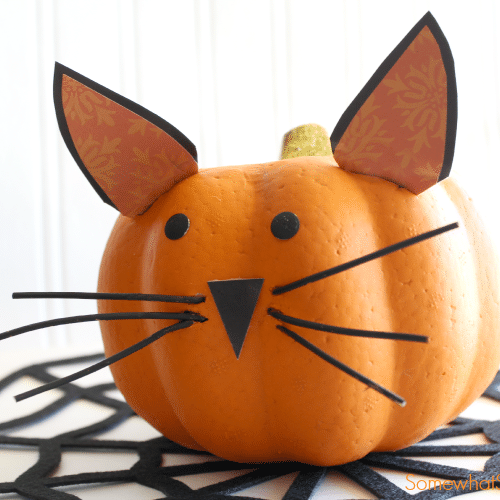 No-Carve Kitty Pumpkins. 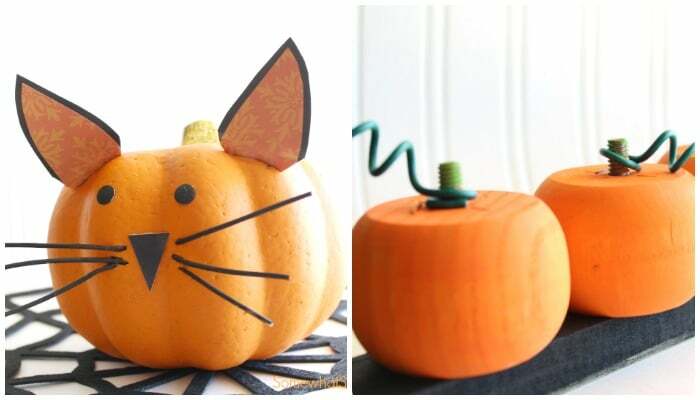 Grab some foam pumpkins from the Dollar Store and cut out cardstock to make some darling Halloween creatures. 12. 5 Little Pumpkins Fingerplay Prop. My favorite fingerplay made even cuter! 13. Donut Pumpkins from Studio DIY. Kind of a tease – they look so yummy! 14. 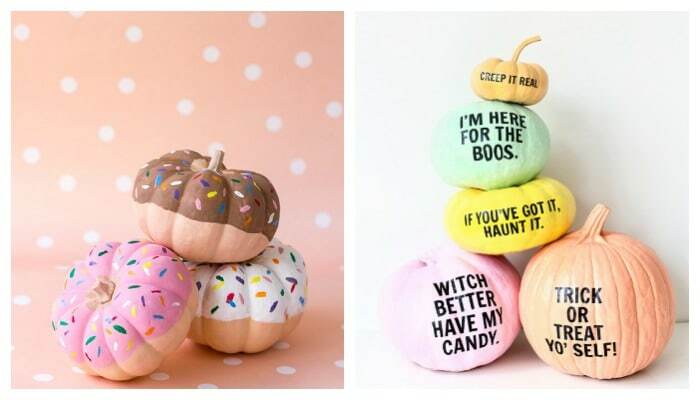 DIY Pun-Kins from Studio DIY. LOVE this idea – so clever and fun! 15. Confetti Pumpkins from Cloudy Day Gray. Definitely doing these with my 2 year old – how fun and pretty! 16. Mummy Pumpkins from Making it Milk Free. Spooky and fun all “wrapped up” into one! 17. 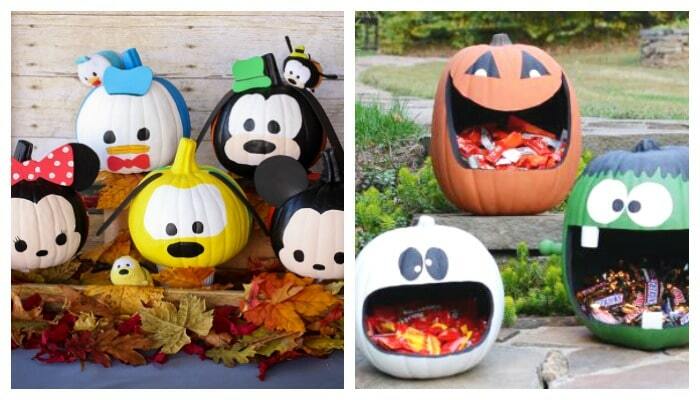 Disney Character Pumpkins from Disney Rewards. I’m not sure mine would look this cute, but I sure love how sweet these are! 18. 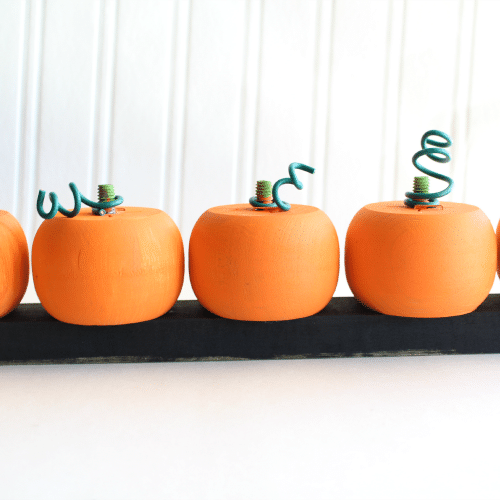 Candy Pumpkin Holders from By Stephanie Lynn. My older kids would LOVE these! We might have to give this idea a try! 19. Paper Pumpkins from Scrabook.com. A simple tutorial that adds some fun color and dimension to your home. 20. 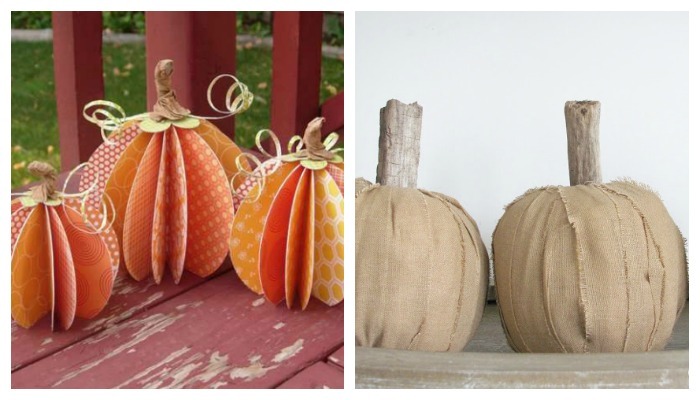 Linen and Driftwood TP Pumpkins from City Farmhouse. Would you believe under that gorgeous linen is a roll of toilet paper?! 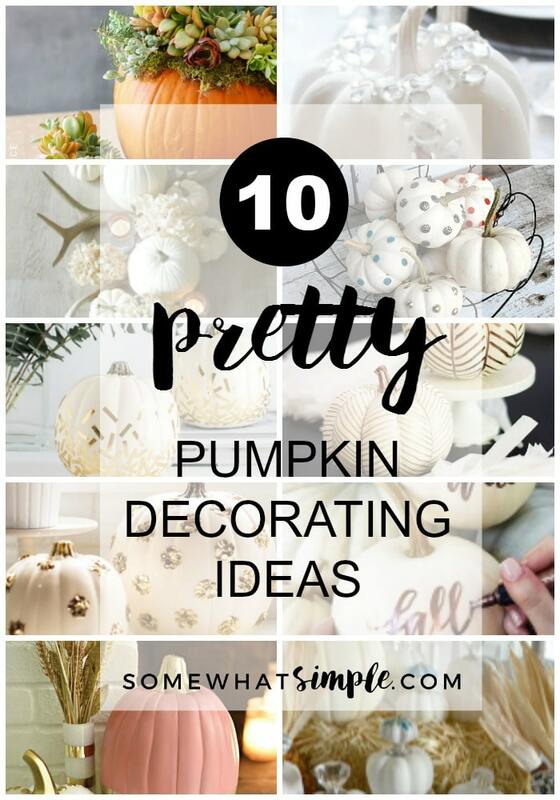 I love these pumpkins – they are so simple and so pretty! What do you think? 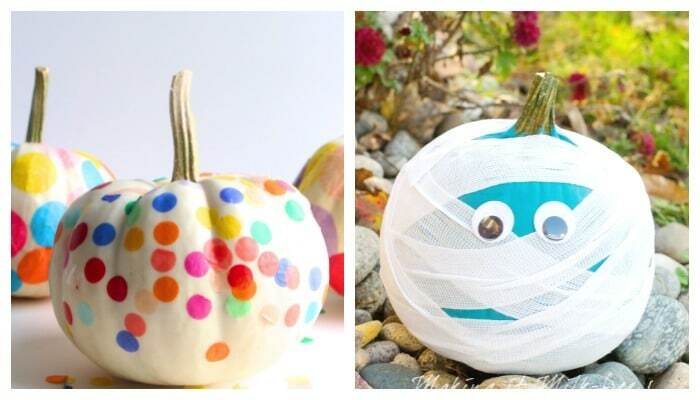 Will you be making any of these pumpkins this fall? Leave us a comment, we’d love to hear from you! Awesome pumpkin round-up. I love them all, but especially the one with the leaves on and the last one with the flowers. Thanks so much!! Love this roundup Melanie! But now I feel like my pumpkins are so boring!